Oleg Deripaska is a Russian oligarch with ties to the Kremlin. 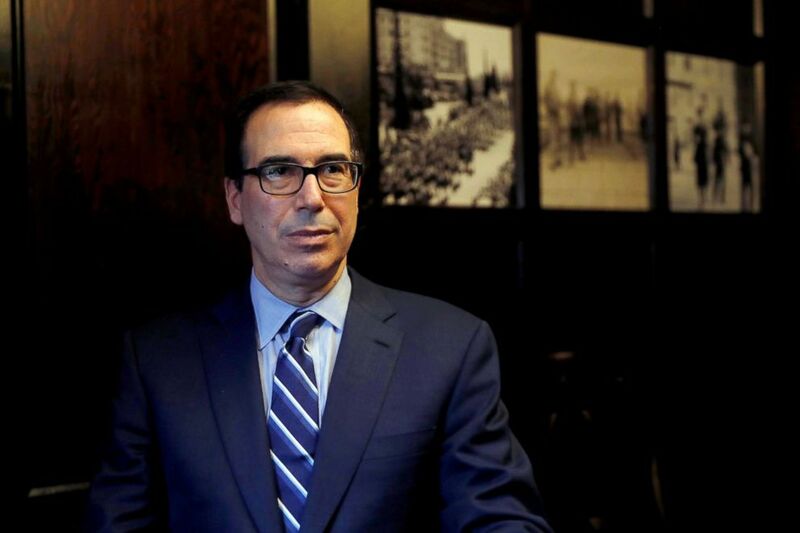 Treasury Secretary Steven Mnuchin appeared on Capitol Hill Thursday afternoon to defend the Treasury Department's plans to lift sanctions on companies tied to Russian oligarch Oleg Deripaska, pushing back on Democrats' suggestions that the administration is going easy on Russia. "This administration has been tougher on Russia and done more Russia sanctions than before. We will continue to do that," he said to reporters after the appearance. Seven top House Democrats, newly-installed as committee chairs, wrote to Mnuchin earlier this week demanding his appearance on the Hill to answer questions about the move. 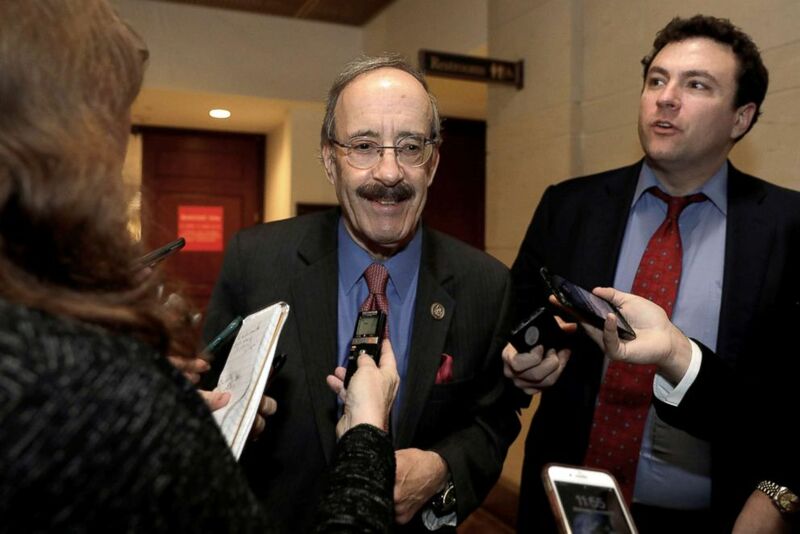 (Yuri Gripas/Reuters) House Foreign Relations Committee Democratic Ranking member Rep. Eliot Engel (D-NY) speaks with reporters after a closed intelligence briefing with CIA Director Gina Haspel on the death of Saudi dissident Jamal Khashoggi on Capitol Hill, Dec. 12, 2018. The briefing, panned by Democrats, was one of the first administration responses to a major oversight request from the House Democratic majority, who are planning to conduct oversight of the Trump administration and lead investigations on a variety of fronts, from the administration's foreign and immigration policy, to the president's potential conflicts-of-interest. "This was -- stiff competition, mind you -- one of the worst classified briefings we've received from the Trump administration," House Speaker Nancy Pelosi told reporters. "The secretary barely testified, he answered some questions but he didn't give testimony. They had an intelligence briefing which I wont go into, and then they read a document which was unclassified, wasting the time of members of Congress." Mnuchin pushed back on that characterization, saying he answered more than half of the questions and deferred to the department's technical efforts who accompanied him to the briefing. He also said he would give Congress an "appropriate amount of time to review" the potential easing of sanctions, leaving the door open to delaying the move. In December, the Department of the Treasury announced plans to lift sanctions placed on several of Deripaska's energy and aluminum companies after the Russian oligarch agreed to give up some control over the companies. The sanctions, placed in April 2018, were in response to accusations of Russian interference in the 2016 presidential election. Deripaska, a close friend of Putin, who has made billions off of his work, remains personally under sanction. 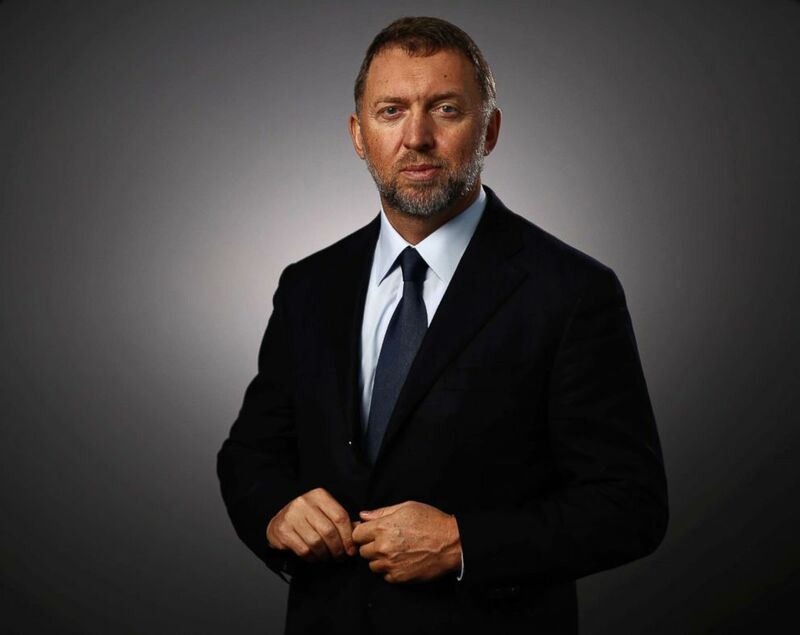 (Simon Dawson/Bloomberg via Getty Images, FILE) Oleg Deripaska, billionaire and president of United Co. Rusal, poses for a photograph following a Bloomberg Television interview in Davos, Switzerland, Jan. 20, 2016. Deripaska hired Paul Manafort, Trump's former campaign chairman, for investment services long before Manafort joined the Trump campaign, according to court documents. The announcement that sanctions would be dropped drew criticism from Democratic lawmakers who said lifting the sanctions would send the wrong message to Russia, and who have argued that Deripaska is still maintaining significant sway in the companies. Mnuchin defended the move in a statement Thursday. "These entities are undergoing significant restructuring and governance changes that sever Deripaska’s control and significantly diminish his ownership," he said of EN+, Rusal and ESE, some of the companies linked to Deripaska. "They have committed to provide Treasury with an unprecedented level of transparency into their dealings to ensure that Deripaska does not reassert control. As a result, these entities will no longer be designated for sanctions." “Treasury will be vigilant in ensuring that En+ and Rusal meet these commitments. If these companies fail to comply with the terms, they will face very real and swift consequences, including the reimposition of sanctions." The sanctions are set to be lifted on Jan. 19 unless the decision is blocked by Congress, a move that Senate Minority Leader Chuck Schumer laid the groundwork for last week in a filed resolution. Both the House and Senate are reviewing the administration’s decision before deciding on whether to push forward with disapproving the lift. (Ronen Zvulun/Reuters, FILE) Treasury Secretary Steven Mnuchin speaks during his interview with Reuters in Jerusalem, Oct. 21, 2018. House Intelligence Committee Chairman Adam Schiff, D-California, also said he was disappointed with the briefing. “During today’s briefing with Secretary Mnuchin, I pressed the secretary on deep concerns I have about the potential for Russian oligarch Oleg Deripaska, and other Kremlin allies, to exercise continuing influence and control over the sanctioned companies," he said in a statement. "His testimony and that of the other briefers did not resolve those concerns." Thursday’s meeting won’t be the last time Democrats expect to deal with Mnuchin this year. Later this year Democrats are expected to request the president's tax returns from the IRS and Treasury, and anticipate that Mnuchin could resist their request and prompt a legal challenge.